FREE Fries at McDonald’s w/ Soda Purchase! If you're gonna be heading to McDonald's anytime soon, don't forget to bring this coupon! 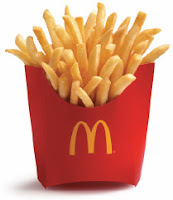 You can get a FREE medium fries with any medium or large drink purchase! Expires 2/4/12.